Happy Monday! I hope everyone had a great weekend...mine involved some rockin' and rollin'.....we had an earthquake of 7.1. Our house shook pretty violently but thankfully other than a few things knocked off shelves we were spared any damage. 4 homes were lost 4 hours south of us though due to a gas explosion caused by the quake so please keep those folks in your thoughts. 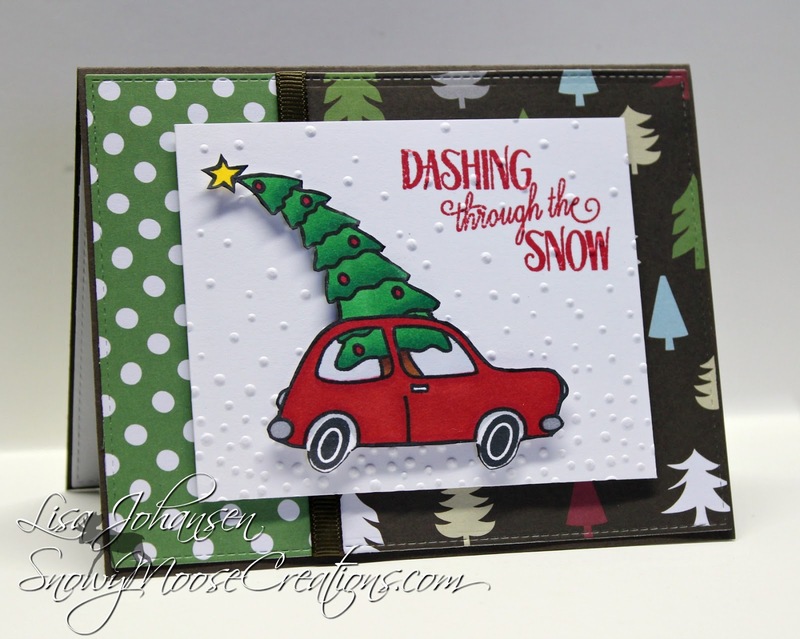 Today I wanted to hurry up and get a card made for the Jingle Belles challenge that will be ending on Weds. They want to see Christmas trees on our projects. No problem, I love Christmas trees, they are one of the best things about Christmas! 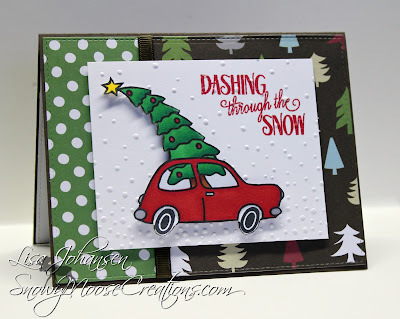 Make sure you head on over to the Jingle Belles blog and check out the challenge before it ends! Thanks so much Megan, I appreciate you stopping by!! That is a cute image and I love how you paired it with those beautiful papers. Your bowling ball story is priceless ... and I love that huge Christmas Tree ... so very glad you joined us at jingle belles.